I love spotlighting new Designers, it’s one of the reasons I started my fashion blog. 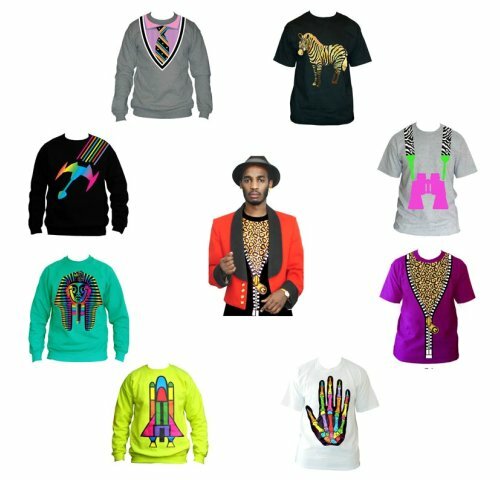 Check out these crazy, futuristic-looking, graphic t-shirts by Kenyan-born British Designer Brian Gathii! Each t-shirt is adorned with leather, swarovski crystals, or screen printed holograms to create a unique image. Inspired by his African roots Gathii chose bold intense colors to enhance the flair of this collection. Gathii’s UK label TO-ORIST (pronounced Tourist) are already a major hit with graphic t-shirt lovers across the Pond. I can definitely see The Hipster (the guy who’s a bit edgier with his style) sporting this. These tees might also work for the The Player (the guy who will try any style depending on his environment). As for the The Hunter (the guy who dresses for comfort before cool) and The Preppy (the button up guy) will probably opt for a more traditional looking graphic t-shirt. Whichever, guy decides to wear these tees will surely step up his fashion game!